The Security Council might be losing its last chance to reach a compromise on resolving the Syrian conflict, with Kofi Annan leaving his post as a UN-Arab League joint envoy to Syria, Ammar Waqqaf, a member of the Syrian Social Club, told RT. 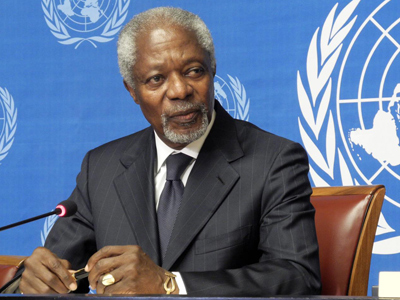 ­RT: The White House says Annan's departure shows the failure of Russia and China to act at the UN Security Council. Is this just another stage in a tradition of finger-pointing? Ammar Waqqaf: It is indeed. Actually Russia and China are the parties who have been trying for the past few months to keep this process within the Security Council, to keep the diplomatic effort alive. 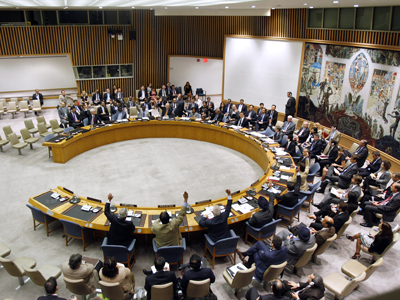 We know that last time they used their veto power in the Security Council, a couple of weeks ago, they were thinking about renewing the observers’ mission for about three months. And nonetheless, there is another party which has been talking and trying to deal with the matter outside the Security Council. So I don’t think it is Russia’s or China’s fault. RT: Is Annan's departure a sign that it's too late for diplomacy in Syria? AW: I think sincere diplomacy could always work. The problem we had with the Annan plan is that once it was adopted back in March by the UNSC, the next day the likes of the Saudis and Qataris went in public saying they would continue to arm what they called “the resistance,” or the armed groups on the ground. And that effectively left the peace plan with no chance of success. However, the international community as a whole – including Russia, China, and Western and regional countries – if they realize that no one is going to be a victor in this battle, and it’s only going to result in the destruction of Syria and in turmoil for the Syrian people, then there probably could be a chance that sincere diplomacy would work. RT: Annan says international powers have failed to put enough pressure on the warring sides. Which countries do you think he's referring to? AW: I would say he is more referring to the countries who pledged publicly to arm the opposition, rather than Russia and China putting pressure on the Syrian government. We know Russia and China have publicly said that the Syrian government was talking to them and that they are actually listening and doing things on the ground. But if we look at this resignation within the international dominance game that is apparently going on in the world, then if we go back a couple of weeks to what happened in the Security Council, the Western powers tried to push for a resolution, a draft resolution towards threatening the Syrian president if he does not adhere to taking heavy armory out of town and stop using them. It was vetoed by Russia and China, and a sort of compromise was reached by extending the mission of the UN observers for 30 days. Now, if the diplomacy or peace plan of Annan is not on the table, then there might not be sort of a way out, or the compromise way out in the Security Council, anymore for the parties. And that might push to even more heated disputes in the Security Council. RT: Annan is a hugely respected, influential and experienced diplomat, and yet he could not effectively exercise his role despite his best efforts. What are the chances that his successor can do any better? AW: I don’t think he could, because Kofi Annan, for example, he sat with the Syrian government, he spoke with them. And he was hoping probably for the parties who control and who can influence the Syrian opposition figures to do the same and convince them to the same things he probably convinced president Assad in doing. But apparently we saw nothing was resolved. We heard something like “Oh, we are not going to have dialogue with those who have blood on their hands." And that only led to more blood being shed, in a sense, in Syria. I don’t think the successor would be able to do anything as long as those who control the armed groups are not willing or capable to influence. 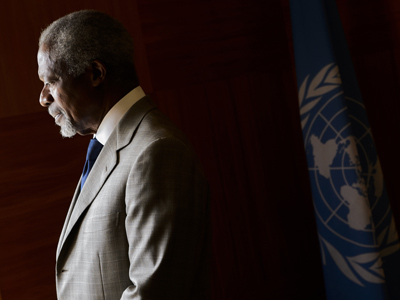 RT: Now that Annan is quitting, what future do you envisage for Syria? AW: I think personally it has been going towards a winner-takes-all situation, in a sense. RT: And who is going to be the winner? AW: I don’t know. It is very complex, it’s very complicated. 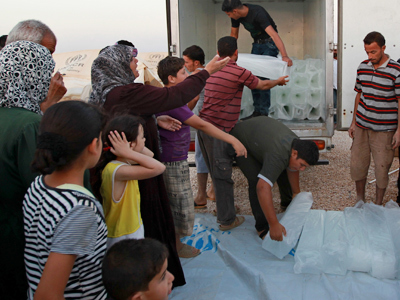 It’s a sort of third world war that we are living at the moment, and it is all happening in Syria. It has got nothing to do with Syria anymore, it is about the will of regional and international players to have their way in Syria in order to protect their own interests and geopolitical positions. RT: Let me put it another way. 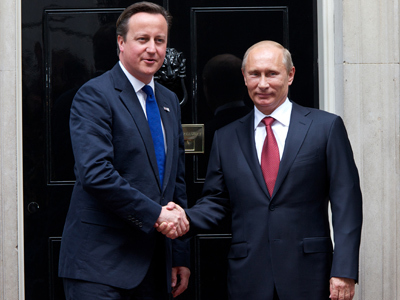 Do you think Assad will still be here in a six-month’s time? AW: I think he will be.